The primary reason we brush our teeth is to maintain good dental health. By brushing away bacteria, we can eliminate the growth of plaque, keep our gums healthy and prevent bad breath. Yet for many, their toothbrush is contributing to the bacteria in their mouths. All toothbrushes have some bacteria on them. This is mostly the result of natural flora of bacteria that live in our mouths. In fact, bacteria are necessary for sustaining a healthy mouth. Yet, most dentists will tell you that unwanted organisms, like yeast and fungi, can also begin to grow on a toothbrush, particularly if it is not properly maintained. While some individuals attempt to sterilize a toothbrush in boiling water or running it through the dishwasher, an easier approach is to replace it when it begins to show wear and tear. Discolorations and spread out bristles are key signs that it’s time for a new toothbrush. For good dental health, the American Dental Association recommends replacing a toothbrush every three to four months. They also encourage replacing a toothbrush after an illness, such as a cold or the flu. While sharing in life is almost always encouraged, toothbrushes are best kept separate. Every individual has their own unique mix of healthy bacteria in their mouth. Yet, what is healthy for one person may actually not be beneficial for another. This is especially true for children who are still developing their own unique flora in their mouths. Where to Store a Toothbrush? Along with replacing a toothbrush on a regular basis, it’s important where you store it. Avoid storing toothbrushes in a moist or dark environment, such as a toothbrush holder or drawer, where there is no chance for them to dry out. This only speeds up the growth of microorganisms which can increase the risk of infections. Because some pathogens are airborne, it’s also wise to store toothbrushes away from toilets. Traditional toothbrushes are made with nylon bristles which can deteriorate quickly. This can be a contributing factor to bacteria growth on a toothbrush in and around the bristles. Unlike nylon-bristle brushes, the PeriClean Ultra Soft Toothbrush has bristles crafted out of the same high-tech rubber used in dentist and hygienist tools. Because of the durability of the bristles, the PeriClean lasts longer than standard toothbrushes while being the only patented toothbrush designed specifically for receding gums, sensitive teeth and other periodontal issues. It’s ironic that one of the most basic instruments of dental hygiene can also be considered, under certain circumstances, to be related to a condition commonly referred to as toothbrush disease. However, that is the case with our bristled friend, the toothbrush. It might be more accurate to say, in the hands of an overly aggressive or strenuous brusher, the toothbrush can cause real damage to teeth and gums. Toothbrush disease or tooth abrasion is a condition caused by over brushing or brushing too vigorously to the point where enamel is removed from the teeth and aggressive brushing causes loss of gum tissue and gum recession. When gum tissue recedes, it opens the door for root decay to begin. Toothbrush disease is a precursor to gum disease which affects more than 64 million adults in the United States. Toothbrush disease is serious business mainly because so often, the people who have the condition are unaware of the damage they are causing their own teeth and gums. The best way to prevent toothbrush disease is to educate yourself on your teeth and gums and increase your awareness of the best techniques for proper brushing and dental care. Consult with you dentist or hygienist and gently insist they go through a brief review with you. It’s especially important to know how much pressure you should apply when brushing. Many people operate under the misguided notion that if they brush harder, they can do a better and quicker job of brushing their teeth. However, plaque is a rather soft substance which does not require exertion but rather persistence to remove it from between the teeth which also requires floss or other devices for cleaning between the teeth. Thoroughness is the best way to approach the twice daily regimen of brushing teeth. Be methodical in your efforts to reach every part of your mouth when you brush. For those people in the habit of brushing quickly, two to three minutes can seem like an eternity. But one of the best ways to fight toothbrush disease and insure a healthy smile for life is to reserve three minutes in the morning and three more at night (six minute amounts to one-tenth of one hour out of 24) for a gentle and thorough brushing of uppers and lowers, inside and out, front and back. The most fastidious and diligent tooth-brushers are often the ones most guilty of causing tooth abrasion. This is due to over-exertion and their zeal for clean teeth. You wouldn’t scrub your face until it’s raw and bleeding, but believe it or not, many people do just that to their teeth and gums. It’s a good idea to consider an alternative to old-school, hard bristle toothbrushes. Standard toothbrush contains nylon bristles that can do damage to delicate gum tissue and teeth enamel. The PeriClean is a smarter alternative with gentle rubber bristles that won’t damage fragile tooth enamel or gums. 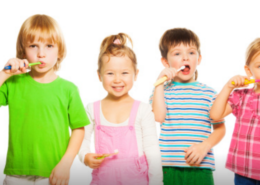 From the time you were little, you have probably been told to brush your teeth. it is an important habit for children and adults alike. But it is possible to brush your teeth too much and too hard. I know it is hard to believe that caring for your teeth can damage them, but millions of people each year set themselves up for gum disease. 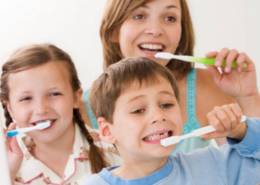 The first problem with brushing is that many people do it improperly, too abrasively, and too often. They wear away the thin enamel of the teeth and erode the gums. This also causes the bone under the gums to disappear and the roots to become exposed. This can result in sensitivity and root decay to take hold. Without realizing it, people also brush without actually cleaning the area where most disease originates in the teeth. While you might not believe periodontal (gum) disease is waging a slow war on your body, more than 75% of adults over the age of 35 show some degree of signs and symptoms. In fact, gum disease is the leading cause of tooth loss in adults around the world. Additionally, recent studies shown a possible link between gum disease and a number of other afflictions in the body, including diabetes and heart disease. These studies theorize that bacteria in the mouth, a cause of gum disease, can travel through the bloodstream. Bacteria can contribute to clot formation and the narrowing of the arteries. The bottom line is that people brush without cleaning the area where most disease originates. Toothbrushes, toothpaste, mouthwashes do not get in between the teeth, no matter what they advertise. Only floss or other interdental devices can break up the plaque nests between the teeth. 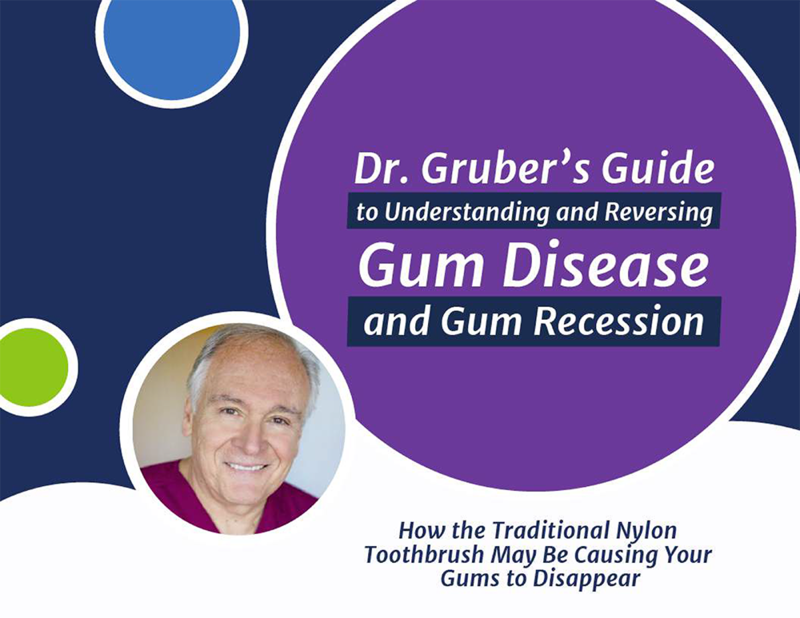 Over the course of my 40-year career in dentistry and periodontics, I have seen a recurring theme in how gum disease develops. Traditional thought has taught us to understand that poor oral hygiene is the first major contributor to gum disease. 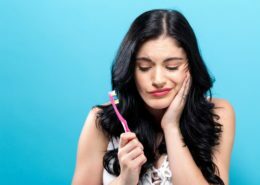 However because of the scare tactics associated with this idea, including graphic images of bad teeth, many have been pushed into over-brushing. As a result, people are damaging their healthy teeth and gums. 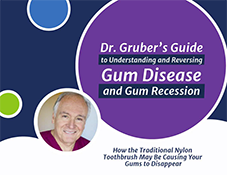 There is such a thing as over-brushing with a nylon toothbrush, which can result in your gums disappearing which is known as gum recession. Each year, an estimated 24 million people suffer from what the Medical College of Georgia School of Dentistry has labeled as “toothbrush disease.” The term means gingival recession and wear of the root surface caused by over-brushing, which contributes to receding gums and hypersensitivity of the teeth. It is the reason dentists have moved from recommending hard-bristled toothbrushes to soft-bristled. The effects of overaggressive brushing lead to reduced enamel and a receding gum line. Gum disease can set in. As the teeth become more sensitive and the gums recede, plaque gets into tougher to get to areas of the mouth. Your tooth enamel and gums are extremely thin. Tooth enamel is actually about the thickness of an egg shell, while gums are merely paper-thin. Due to the fragility, brushing too hard can break down tooth enamel and wear away gums. If you’ve experienced sensitive teeth, it could very well be due to gum recession, which can lead to bone loss and sensitivity. To clean their teeth, millions of people are brushing their gums away without even knowing it—causing damage to their tooth enamel and gums in the process. Plaque is as soft as yogurt. There is no need to do harm to the teeth and gums to remove plaque. Car finishes are treated more gently. It is not my aim to scare you away from the toothbrush you currently use. As a medical professional, my first duty is to educate my patients, so that you understand your body, the actions you take and how those actions affect your overall health. Be smart and take control of your dental health today! 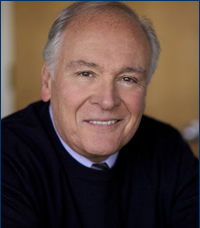 Dr. Jack Gruber DDS discusses the dangers of tooth whitening products and how to safely have a whiter, healthier smile.